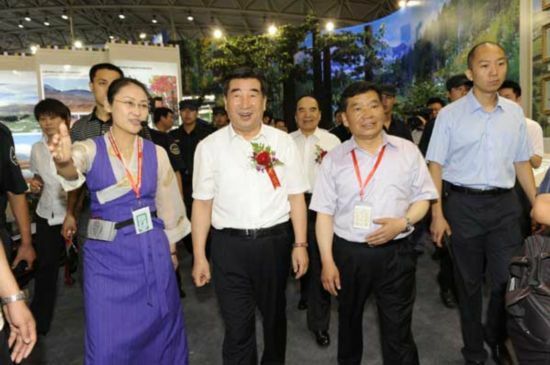 Chinese top officials visit the Tibetan Exhibition Hall on July 12, 2010. Photo by Jiang Gai. The Tibetan Exhibition Hall was opened simultaneously on July 12，2010. Visitors filed into the Tibetan Exhibition Hall designed in unique Tibetan style.